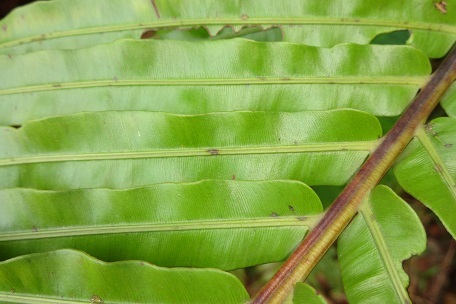 The fern below (Blechnum finlaysonianum) is likely to be the host plant of this beetle since they were found exclusively on this fern at several occasions. 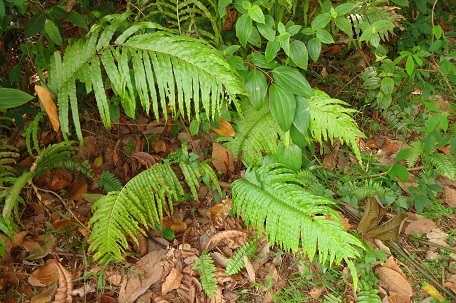 This fern looks similar to Blechnum orientale (Centipede Fern) except that its young leaves (fronds) is green instead of red colour seen in the Centipede Fern. 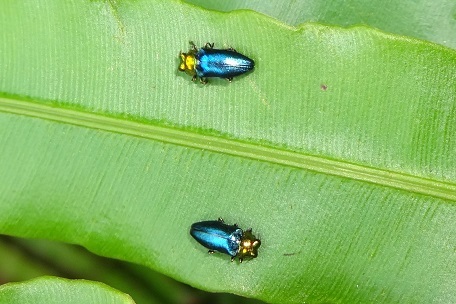 In April 2014, I found the beetles on Blechnum orientale (Centipede Fern) in 2 separate locations in the Central Catchment Nature Reserve. 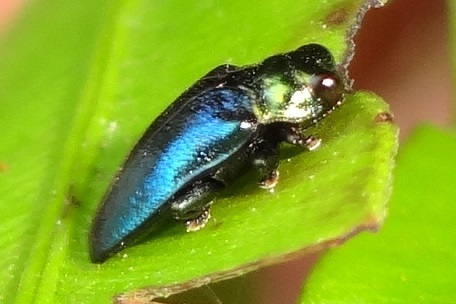 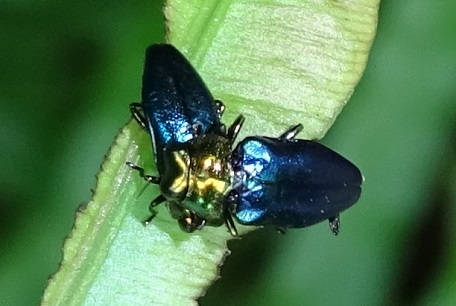 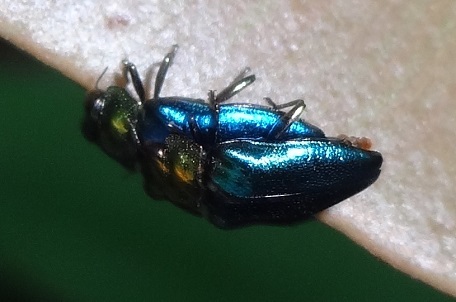 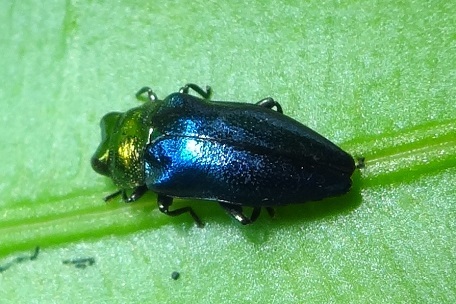 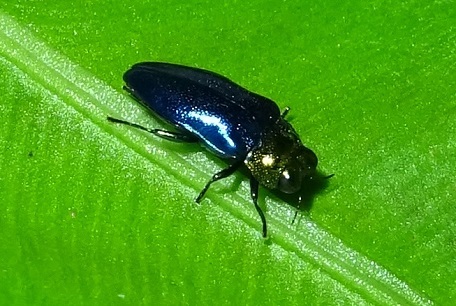 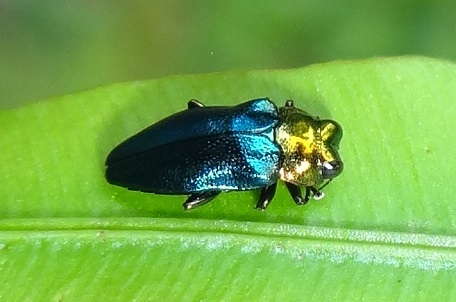 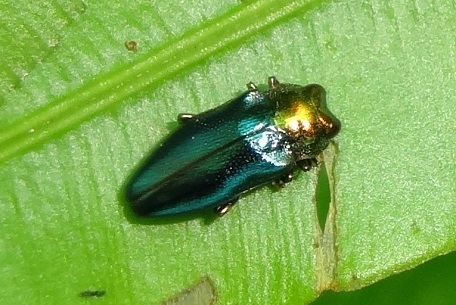 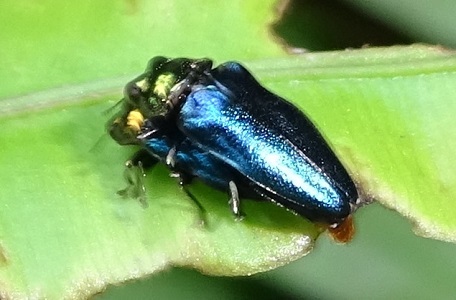 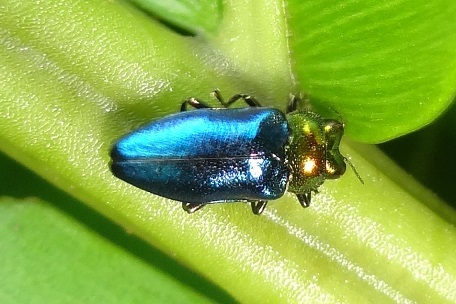 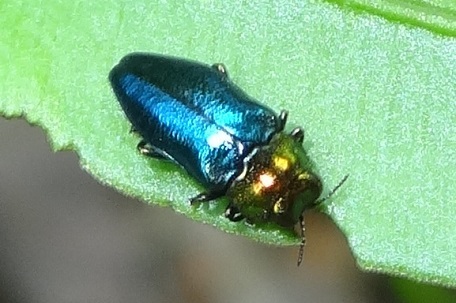 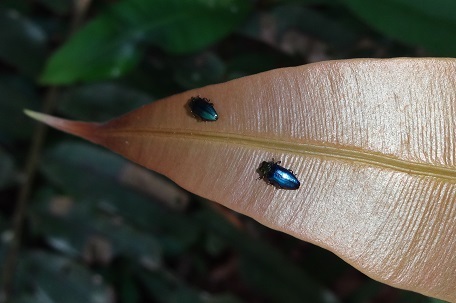 Hence, the Centipede Fern is likely to be another host plant for this beetle.